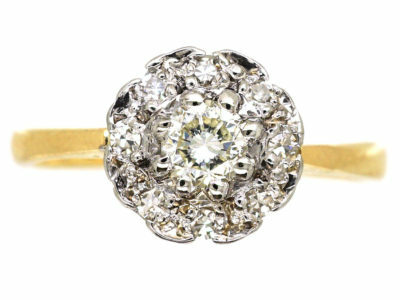 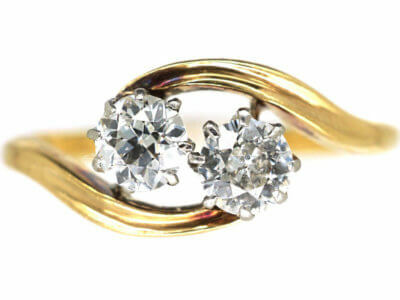 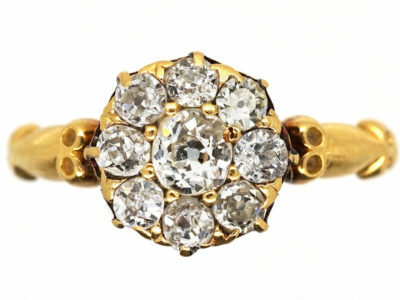 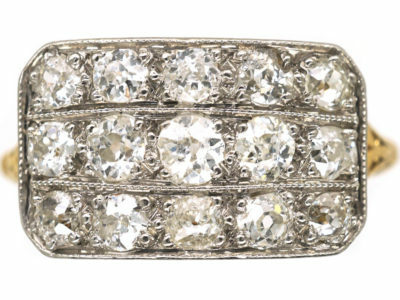 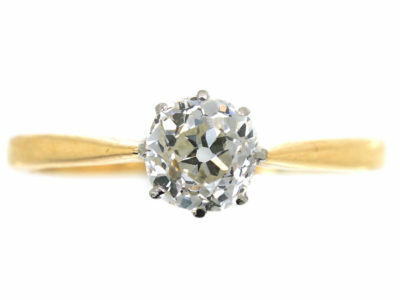 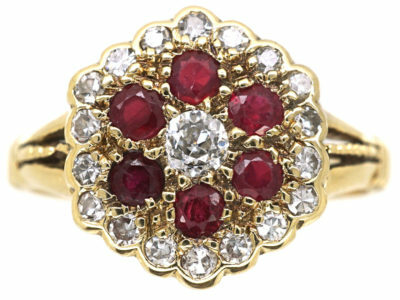 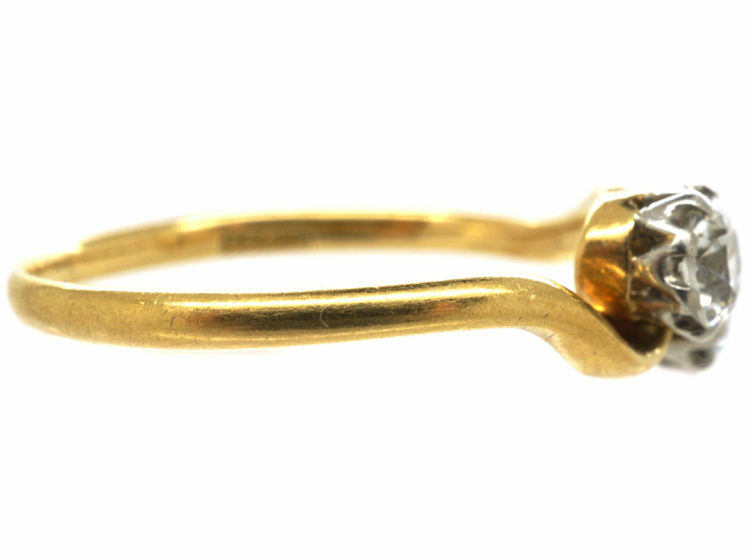 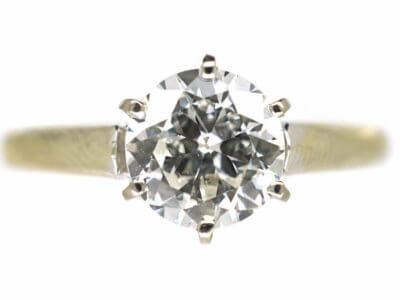 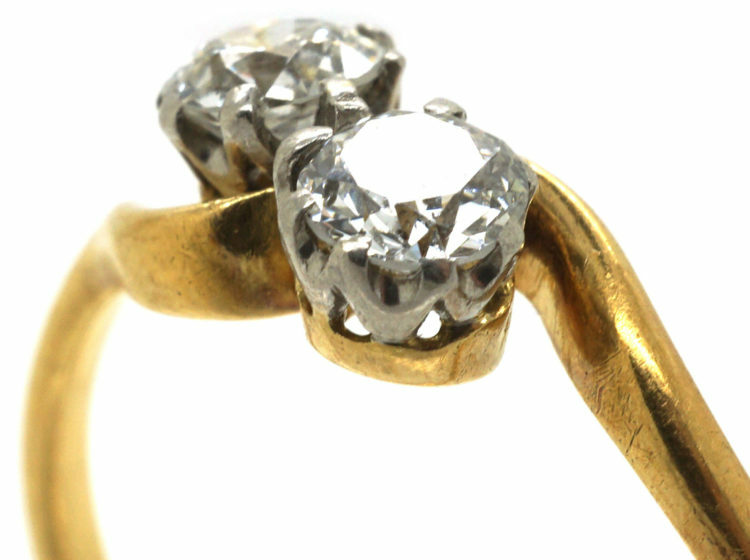 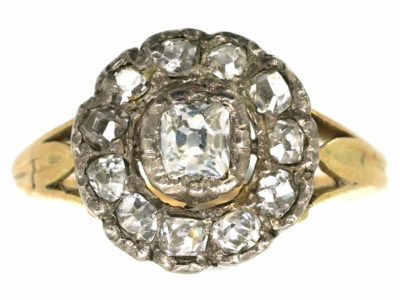 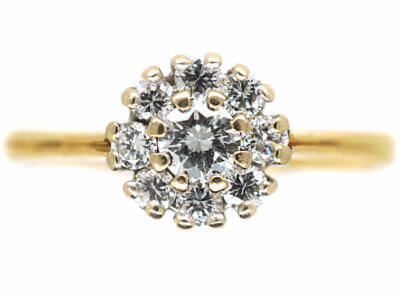 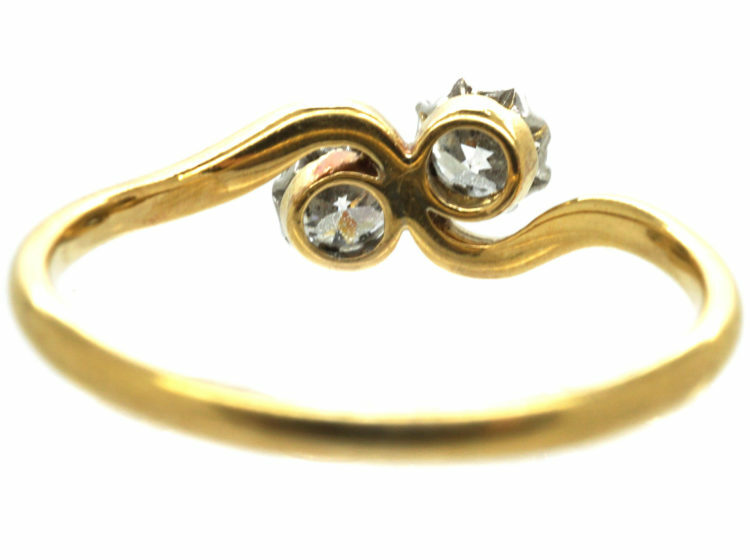 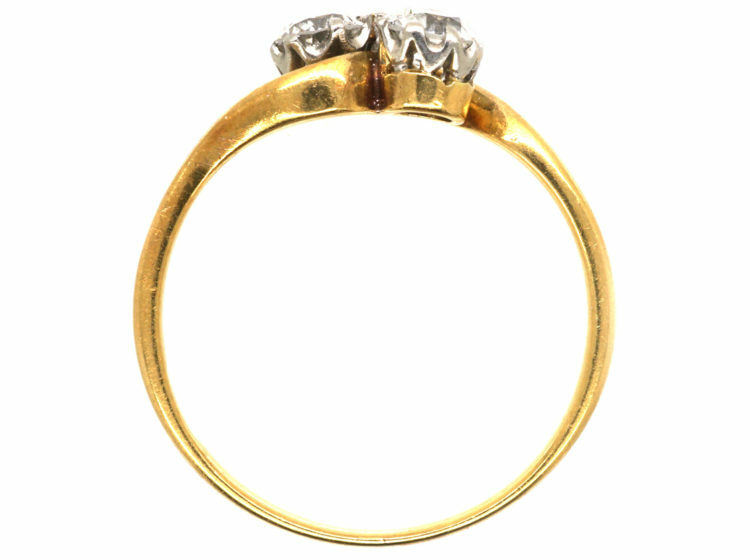 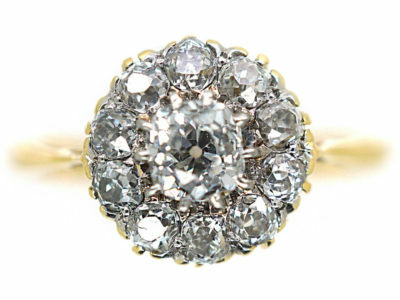 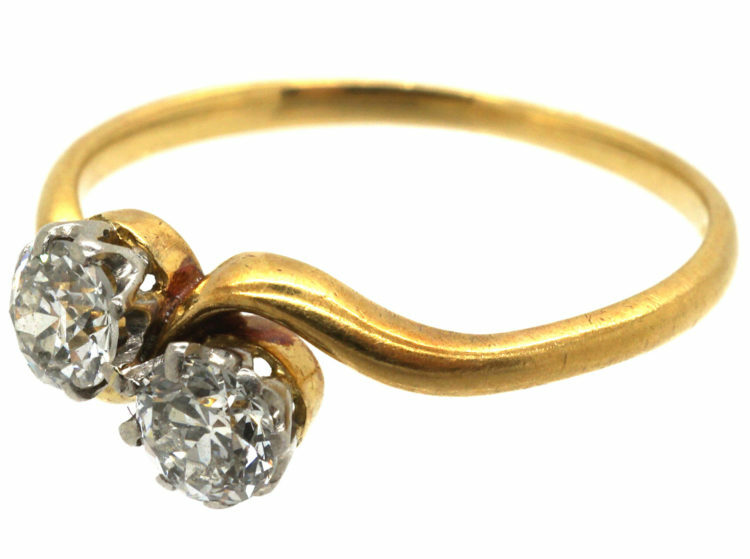 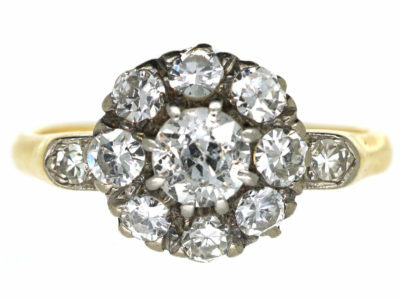 A pretty 18ct gold ring set with two well matched white twenty five point diamonds. 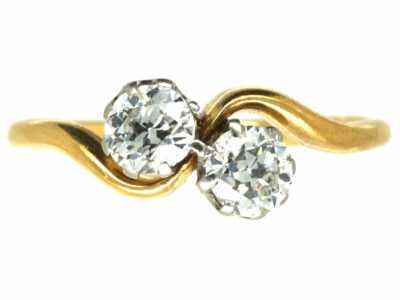 The design is typical of the period when it was made, circa 1900-1915, as it is a sinuous Art Nouveau style. 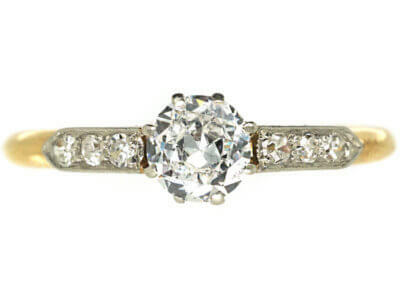 It is as suitable now as it was then for an engagement ring.